'Making' is at the core of what we do. We provide access to a wide range of tools and machinery to satisfy even the wildest of IMAGINATIONS. Our workspaces are flexible and adaptive to suit most needs. Join us and start making today! As a collaborative space, sharing knowledge is key and something we take very seriously at Bisamake. We REGULARLY run many workshops, courses and Skill builders so there is always something new to learn. Sign up now for a course and perhaps find your next hobby or passion. Have a great idea for something you need made, but don't have the skills or the knowledge to do it yourself? Never fear, Bisamake can do it for you. From signage to customised gifts, there isn't much we cant create! Bisamake is Bali’s first membership-driven makerspace. We cater to makers of all kinds, including hobbyists, tinkerers, inventors, fabricators, craftsmen, artists, and DIY enthusiasts. Inspired by the contemporary global phenomenon of maker culture, our aim is to establish and maintain an active community of makers capable of trading ideas, knowledge and expertise and furthering their collective development of skills in a wide variety of crafts. 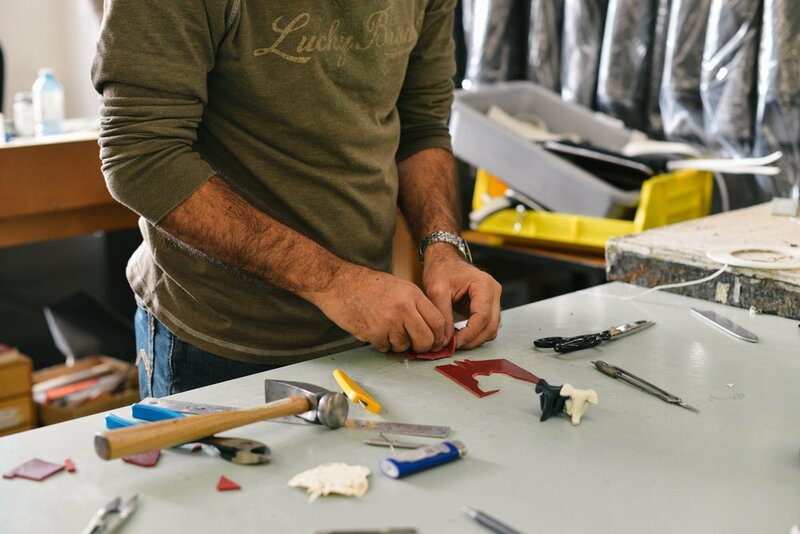 Members can utilise a wide-array of dedicated tools for different mediums, including woodworking, metalworking, laser-cutting and 3d printing. This is supplemented by a growing curriculum of different projects that are offered through lessons by a group of resident experts. Bisamake is open to everyone who is interested in crafting and making, whether you are an experienced maker who requires the use of dedicated machinery or someone who wants to learn for the first time. We encourage you to come and check out our space and explore the endless creative possibilities that we can enable. to provide access to 3D printing, Laser & CNC cutting, metalworking machines and tools to the local creative community. Thank you for your interest in Bisamake Makerspace workshops. We will be in touch with you shortly.